Dreamhack Austin was an action packed competition between some of the best tier two teams out there, and Gambit Gaming was able to pull off a big heist with major upsets of favorites G2 and Immortals. The one thing that was missing from the competition was tier one talent. 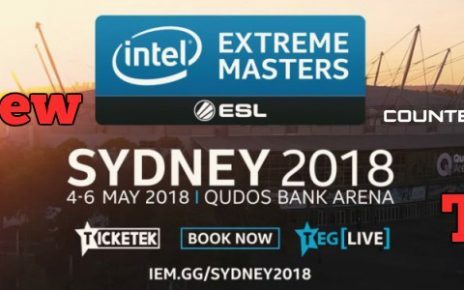 Luckily, IEM Sydney features just that, with three of the top four squads from around the globe in attendance. Just two and a half days after the conclusion of Dreamhack, we get rewarded with another action packed LAN! Today, I will be previewing the tournament details such as dates, format, and prizepool. 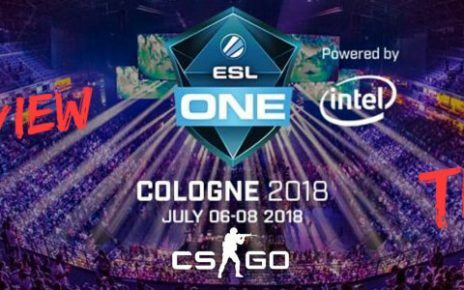 Then we will power rank the teams, and finish with IEM Sydney CS:GO betting tips for the first round of matches as well as the winners of the whole tournament. There is a lot to cover, so without further ado, let us get started! The tourney will take place in Sydney, which is in Australia. 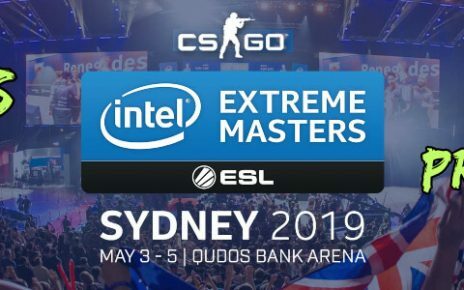 There is fairly obvious considering the name of the competition, but something the name does not tell you is that the players will play in the famous Qudos Bank Arena for the playoff section of IEM Sydney. The battle starts on the third of May and concludes on the seventh of May. It features a swiss group stage system, in which losers play against losers, and winners fight against winners. The goal is to create balanced matches, allowing the best teams to pass on right away, while the middle tier squads are not placed against top tier crews all the time. This system works pretty well, as more and more Counter Strike LANs have been using it recently. While the group stages usually take three days, the organizers have condensed it into two, so the players enjoy an off day on Friday to tour the beautiful city. The playoffs are also split into two days, with the semi finals taking place on Saturday and the finals on Sunday. Europeans and North Americans will find that the timing of the games is awkward, however, with it being early morning in Europe and late night in North America during these games. However, you can always find a way to watch the matches if you truly want to, and vods and replays are readily available. The prize pool is not great, but definitely not bad either. With a little less than two hundred thousand US dollars on the line (messy number since prizes have to be converted from the Australian currency), guys will have a reason to win and play their best. Now that you know all the details of the tournament, you are probably wondering about the teams. To introduce the squads taking part in the competition, we will do a power ranking. There are eight crews, so this will be a good way to familiarize yourself with them. The eighth ranked roster in IEM Sydney is ViCi, the Asian force that made it through their regions qualifier. This team has not faced much international competition so there is not much to analyze, but since the Asian Counter Strike scene is basically dead and has never produced even a half competitive squad, it is safe to assume that ViCi will not be able to do too much against top crews. Coming in at our number seven spot is Chiefs, the Oceania qualifier. Since the tourney is taking place in Sydney, it is only fair to have an Australian crew. They have been around the Australian Counter Strike scene and are very consistent, but, unfortunately, lack firepower. They might take a few rounds off mistakes, but I cannot see them taking a map against anyone but ViCi. Coming in at the sixth spot is the other Australian squad, Renegades. They are part of the North American ESL Pro League and are an effective team in the online league as well. However, they lost their star Rickeh to CLG, and another vital role player to retirement. This crew owned by a basketball player simply doesn’t have that much of a chance while they are suffering so much roster turmoil. Now we are getting to the best crews, and the following squads all have a big chance to make the playoffs. At number five, Optic Gaming is the only North American crew of the bunch. They have a star AWPer in Mixwell, and one of the best CS minds in JasonR. They have all the tools in their toolbox, and now they simply have to use the hammer to nail their opponents. We shall see if they can fit together all the pieces in Sydney. At number four, North are looking to make some noise behind Magisk and CajunB. This Danish team is one of many impressive crews from the country, and are looking to beat the kings of the country in Astralis. They have a lot of firepower so, hopefully, they can make some noise for us! Number three in our list is SK. The once former major champions are still a potent mixture of talent, but have fallen off since Fallen has cooled off (pun intended). The loss of FNX did not help, but they were able to add a good fragger in Felps from Immortals. They will look to reassert their dominance here in Sydney, and we are in for a show if they pop off and fire on all cylinders. The scene is currently locked into a battle between FaZe and Astralis for the number one spot. Both these crews were on the edge of greatness for so long, and have finally put it together in 2017. Due to the most recent LAN final, I will put Astralis at second. With a great in game leader in Gla1ve, a star AWPer in Dev1ce, and the clutch master Xyp9x, they will make some noise and challenge for the trophy. At last, our number one team is revealed. FaZe, on the back of an impressive LAN victory at Starladder look like the talented crew that they were hyped up to be for so long. Karrigan provided the structure that they lacked, and NiKo was the bringer of the final bit of firepower they needed. Sydney is their playground, and they will fight tooth and nail for yet another trophy. 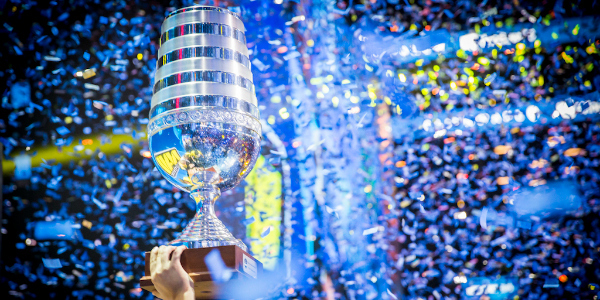 Let us finish our article with predictions for the first matchups as well as the overall tournament. On day one, the first match features North taking on Optic. Due to the extra amount of firepower that North has, and the recent success they have enjoyed, I will have to go with them. Optic battle, but they lose an extremely close map in the end. The next match of the day features SK taking on ViCi, which is really easy to predict. The former major champions should have no problem defeating these Asian scrubs, and they will probably win without even allowing eight rounds. The third battle of the day pits Astralis against Chiefs. Again, these Australians do not have the firepower to compete with a top team like Astralis, but they do manage to pick up a few rounds on the back of their home field advantage. Expect a low double digit scoreline for Chiefs as Astralis pick it up fairly comfortably. The same situation applies when FaZe take on Renegades, and we can expect a similar result as well. FaZe pick it up easily in the end, however. I predict that the four semi-finalist crews will be FaZe, Astralis, SK, and North. Pretty anticlimactic, but I do not see any team other than Optic upsetting their way into the playoffs, and I do not think they will be able to pull it off. FaZe and Astralis will battle in yet another final, and FaZe will win the best of five in all five maps. Thanks for reading my article and staying until the finish. I will post more news and articles later, so be sure to look at those as well. Thank you again, and I will see you in my next piece. Good luck!